Rick's Pocono Blog: Jim Thorpe is Full of History and Adventures! If you are looking for a new playground to experience some hands on Pocono Mountain Fun, Jim Thorpe is the place for you. This is Not just because in the 2007 Nation Geographic Magazine Jim Thorpe was voted one of the top ten Mountain Towns for Fun and Adventure, but because Jim Thorpe is simply packed with Fun straight from the Mountains and Waters that surround it! 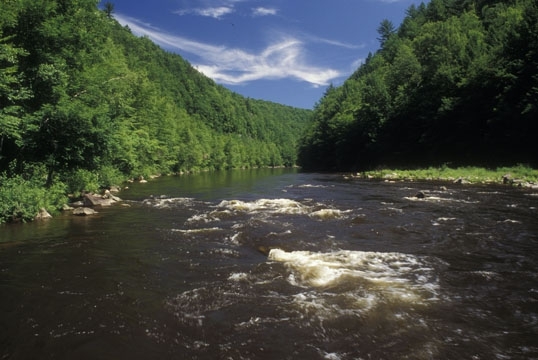 The Lehigh Gorge is a very Scenic State Park and The Lehigh River Flows right through it. Jim Thorpe Pa and The Lehigh Gorge are home to some of the BEST Pocono Mountain Fun you can experience. Come to Jim Thorpe and enjoy White Water Rafting, Easy Family Rafting Trips, Exciting White Water Kayaking, and some of the BEST Pocono Mountain Biking around. Rafting in Pennsylvania is the Northeast's favorite outdoor adventure. Lehigh River Rafting can happen all 7 days a week. Lehigh River Dam Releases kick it up a notch, or you can chill on one of the easy and peaceful Rafting Trips! Jim Thorpe has it all from Biking, Boating, Camping, Festivals, Hiking, Horseback Riding, Paintball, Parks, Nature, Skiing, Tours, Ghost Walks, Trains, Antiquing, Art Galleries, Family Fun, Historic Attractions, Library, Live Music, Spa, Massage, and Wine! There are also many Perfect and Private Pocono Mountain Communities with their very own Amenities including, Boating, Festivals, Beaches, Playgrounds, Heated Pools, and much more. All is located in the Historic and Beautiful Jim Thorpe Pa!